There have been rumblings of a tuna bite south of the vineyard. As a result, I called an audible for today and headed offshore with Capt. Nat Chalkley of Get the Net Charters, who happened to develop the same “sickness” and had to miss work, like me. Sleep loss is tuna fever’s number one side effect, so I figured I may as well load up the boat last night and tell my crew to meet me at 3:15 A.M. I’ve heard reports from many different sources, so I figured we would start close to the Vineyard and work our way south. We started at The Claw since we would see the better part of sunrise. A few birds, but nothing amazing. We trolled for 45 minutes with no results. We packed up, and started steaming for The Dump. About 10 miles south of The Claw, we simultaneously saw a pod of life (bait, birds and dolphin) and Larry Backman of the Skipjack doubled up. 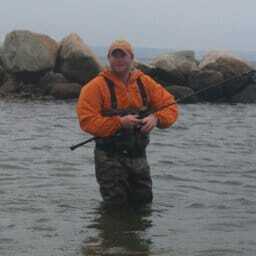 He was smarter than us and found the fish first. Oh well, just as productive to be lucky! Simply put, the fishing was AWESOME! We found a nice school of 40 to 50-pound bluefin and we were hooked up in less than 5 minutes after finding them on an olive-colored Hogy Harness Jig. Shortly thereafter there was an easy 40-plus pound bluefin on my deck that coughed up copious amounts of sand eels. As a result, we slowly started swapping traditional pink, green and rainbow colors to more imitative or natural presentations. We lost count of how many fish we caught. 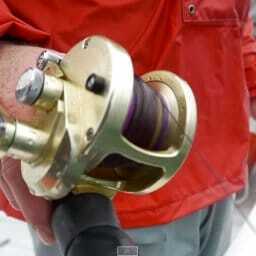 2) The olive harness jig on flat line, shrimp and amber spreader bars were hottest, but we caught fish on all colors. Pink was untouched. 3) We did not get a touch on the ballyhoo on the way-way-back (WWB) center line. Horseshoe is best known as a premier location for large bluefish on the south side of Cape Cod. Casting and trolling are both reliable techniques from late June through mid September. 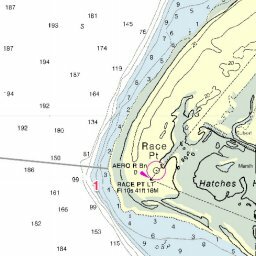 Race Point is one of Cape Cod’s most productive fishing spots. 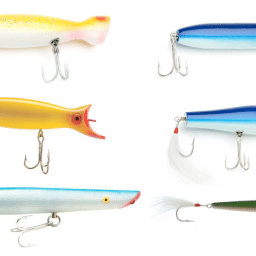 Learn how and when to fish the Race through videos, charts and tackle suggestions. Capt. Mike Hogan finds topwater schoolie action and a strong black sea bass bite at the west end of the Cape Cod Canal in this video fishing report for May 29, 2015. Capt. 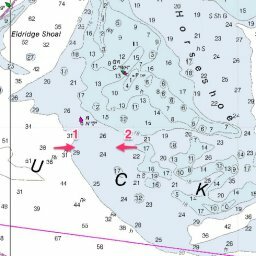 Mike Hogan searches for stripers and blues at Halfway Shoal and Middle Ground in this Salty Cape video fishing report. Capt. 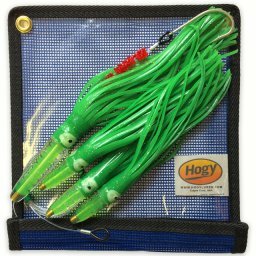 Mike Hogan explains the methodology behind his Cape Cod lead core trolling outfit. I very rarely get a chance to fish on weekends, but if I were to go, these are the plays I would look at. 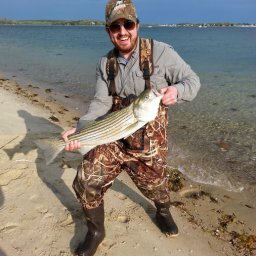 Striper fishing is very good off the Race as they continue to feed on the abundance of sand eels in the area, reports Capt. Mike Hogan. Great striper fishing off Race Point and Capt. Mike’s first bluefin of the year just south of The Claw are the highlights in this week’s forecast. Salty Cape reader Austin Goldstein reports fish in the mid-30 inch range at the Nantucket Rips. Check out Capt. Mike’s gameplan for this weekend, including some first-hand offshore intel from his trip south of the Vineyard yesterday.